The Celestial Tarot is a handbook of the heavens that provides oracle guidance for the inner life. 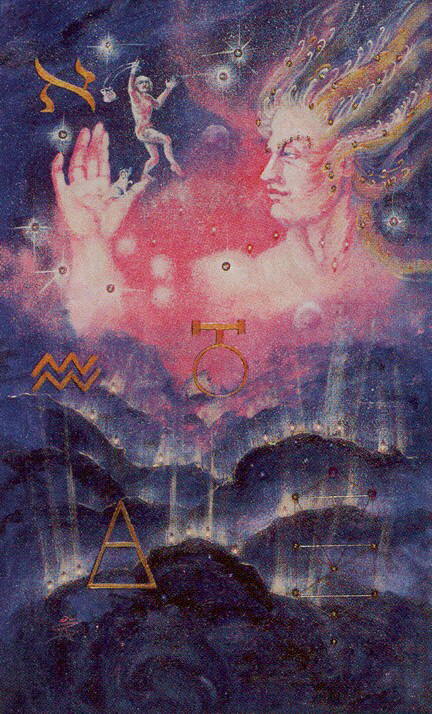 The twenty-two cards of the Major Arcana represent the twelve constellations of the zodiac plus ten planets. For astrologers the minor arcana of this deck are particularly important as they utilise the extra zodiacal constellations as recorded by Claudius Ptolemy.